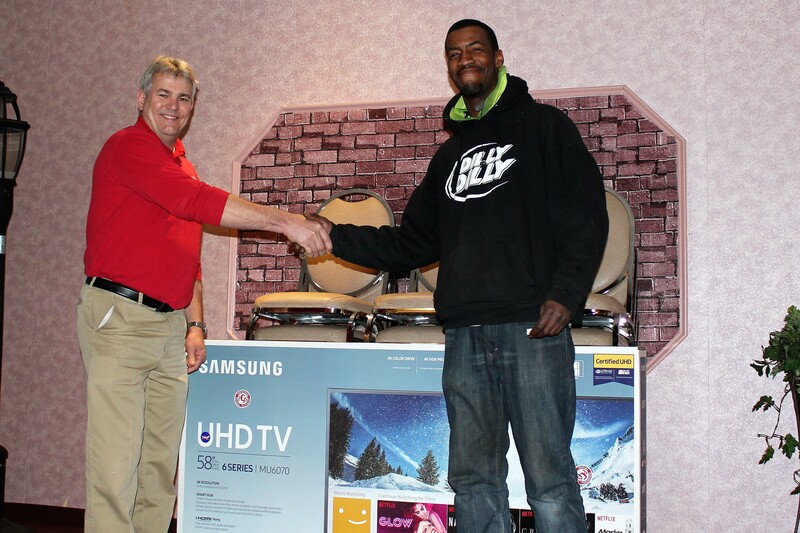 Doug Eichelberger of Professional Contractor Supplies announces the TV Drawing winner. 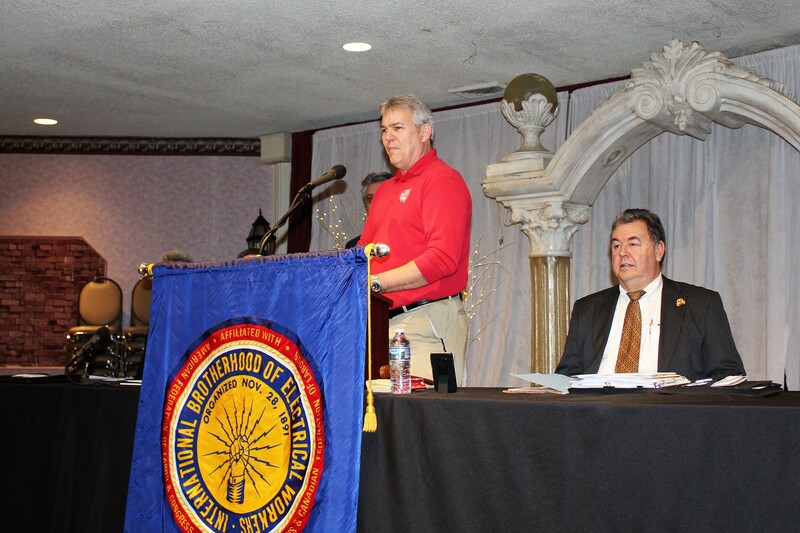 Doug Eichelberger, of Professional Contractor Supplies (PCS), was on hand at the April regular membership meeting to make one lucky member’s night. 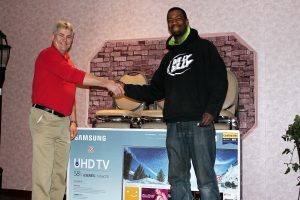 During Local 24’s annual Tool & Boot Sale in March, PCS offered some extra incentive to shop by sponsoring a drawing for a TV. All IBEW customers were eligible to enter, and had to be present for the drawing at the April meeting to win. Brother Jonathan Lewis was the winner of the PCS TV drawing. Congratulations to Brother Jonathan Lewis, who took home the prize – we hope you enjoy it! And thanks to PCS for their sponsorship of the contest.